WHEN TO OPEN THE BOTTLE ? 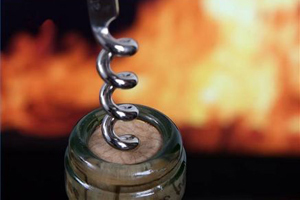 By removing the cork beforehand, the wine is allowed to breathe, to oxygenate, and eliminate possible parasitic odors (sulfurous anhydride, mercaptans, etc.). Uncork the bottle, taste the wine and choose to put the cork back (healthy young wines, very old wines with subtle and volatile esters), let open (parasitic odors) or decant.